but my worst quality is clutter! sitting there upon my shelf. 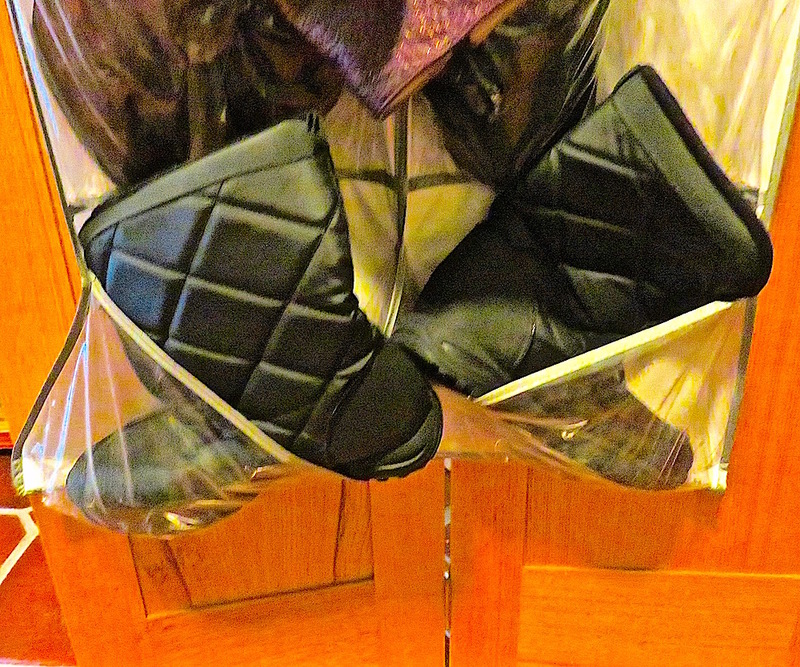 Everything I buy just clings. I can’t seem to part with things! are all my former castoff selves. 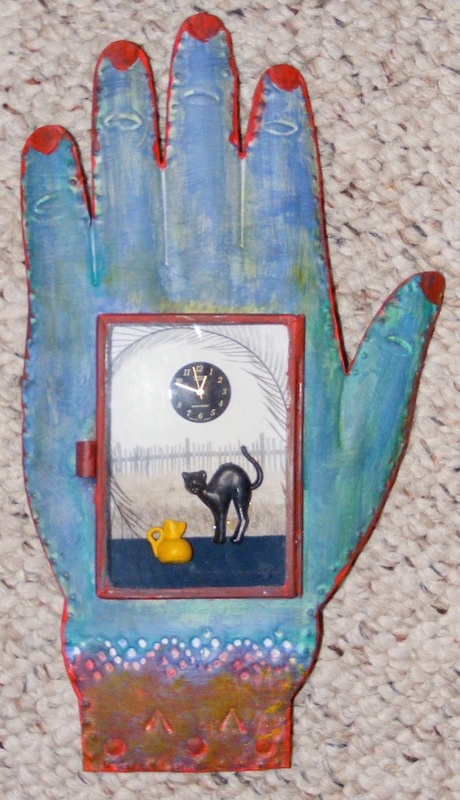 The slides from art shows long ago? labeled with their types and dates. Old letters, class notes, tax returns? as well as shreds, yet still I wait. Years pass as I equivocate. get rid of them? I just say no! My studio is filled with things. 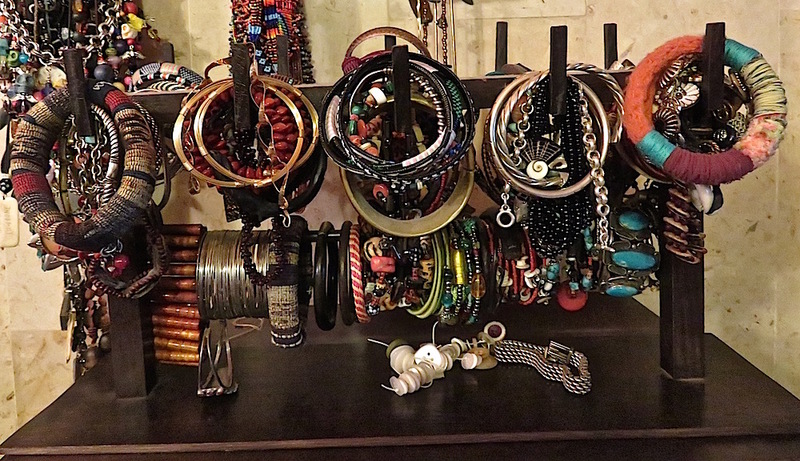 My jewelry drawers with bracelets, rings. shelves stacked with future gifts and prizes. and other useless hoarding sins. My kitchen is a spice museum. So many spices, I can’t see um. well past the date they should be used. instead, I sit and write of it! but me? I only make deposits! This entry was posted in Addiction, Bad Choices, humorous poem, humorous poetry, Humorous Rhymes and tagged bad habits, Clutter, cluttered, Daily Post, Daily Prompt, hoarding, poem about clutter, poem about hoarding, poems about bad habits on December 12, 2015 by lifelessons. 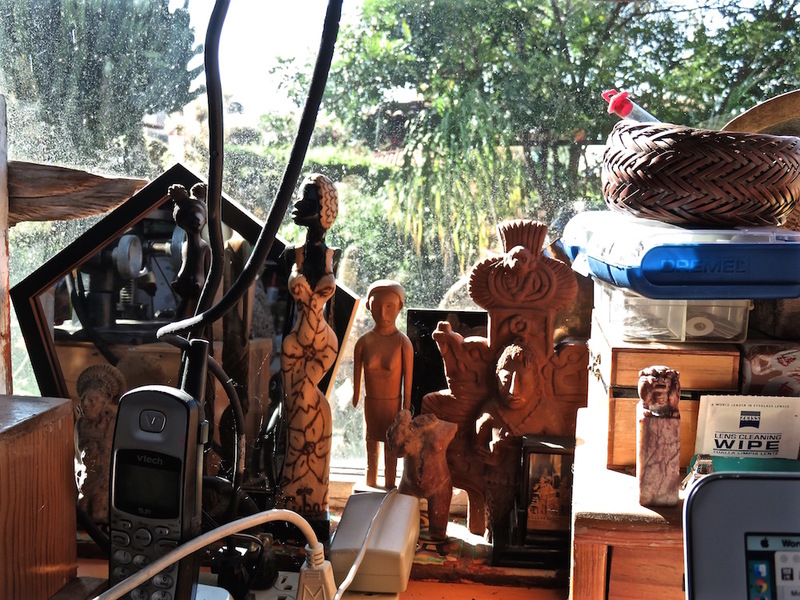 My studio is my refuge––a place I’m never hounded. Safe within my compound walls, its door is never pounded. There is no telephone at all, no internet or texting. 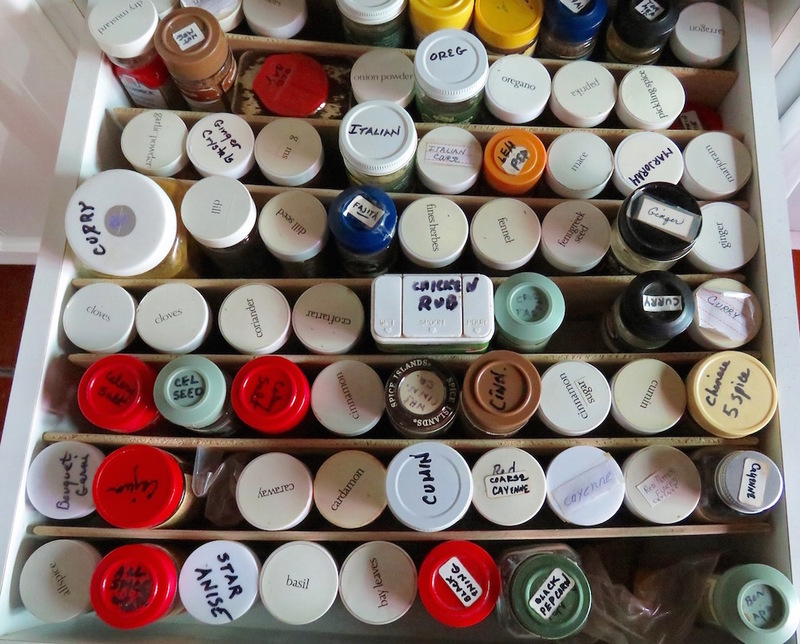 Its drawers are full of little things; its shelves are full of paint. For when it comes to art supplies, I have little restraint. for if it’s miniature and cheap, I cannot help but buy it. and if objects perchance might fall, they stay where they are laying. Yet I’m at home within it, for I know where each thing goes. 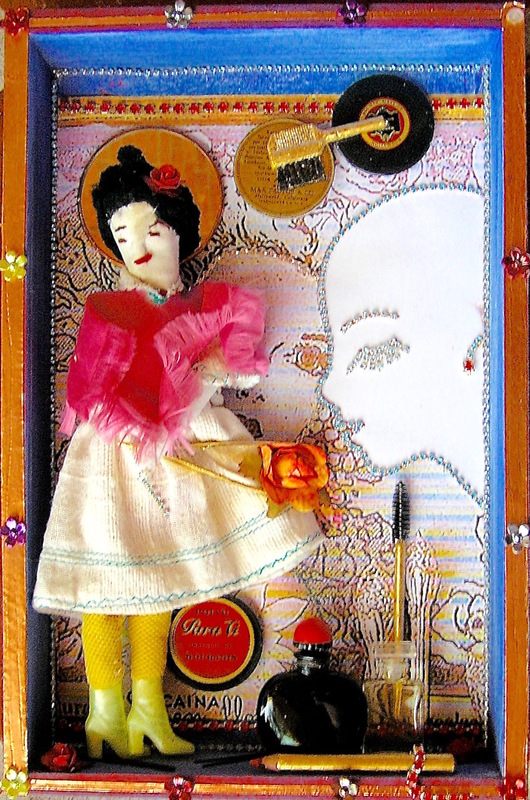 Never quite so happy as when making retablos. of animals and tiny fruits, there is a drawer of hearts. the place that I come back to, wherever else I roam. 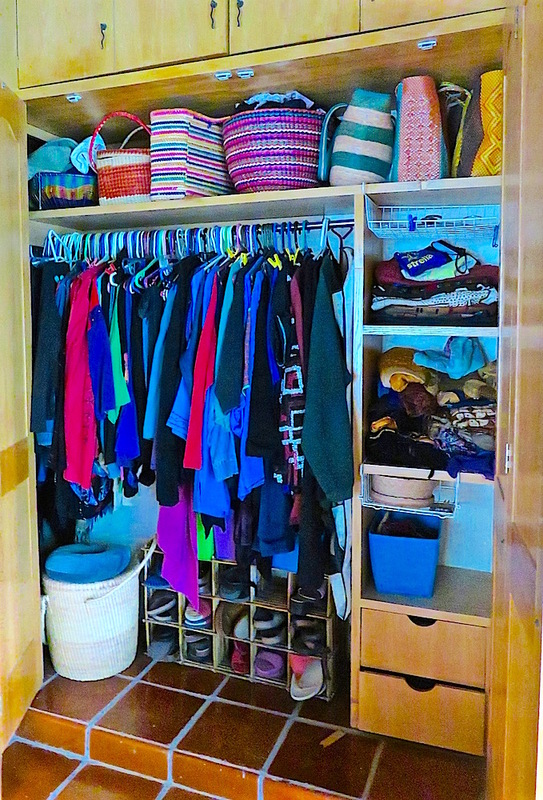 Often it’s disorganized–things piled and under feet. But, the truth is when I’m busy, the mess soon grows absurd. and it’s true my studio’s homely in both meanings of the word! This entry was posted in Art, Arts/Crafts, Poem, Poetry, studio and tagged art studio, cluttered, home is where the heart is, homely, homey, poem about an art studio, poem about clutter, studio on November 14, 2015 by lifelessons.